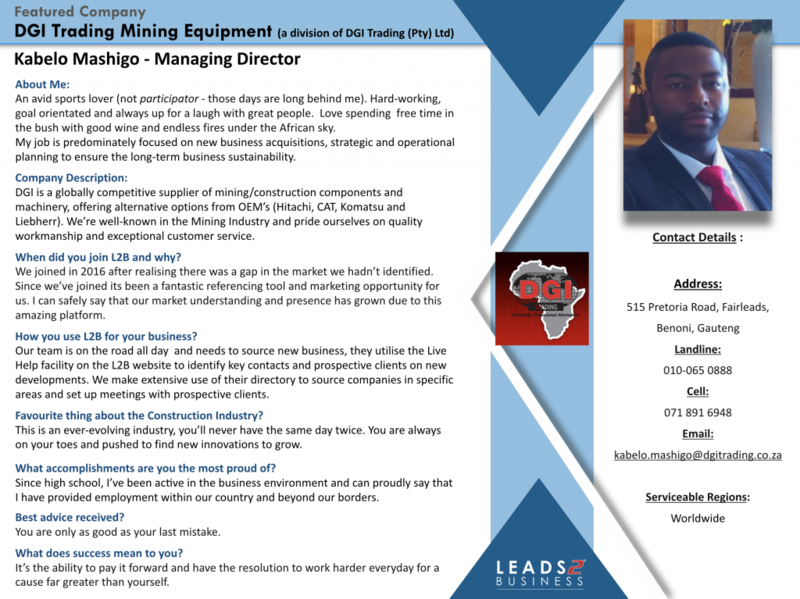 I started working at Leads 2 Business in January 2016 and form part of the sales team as Account Executive based in Gauteng. 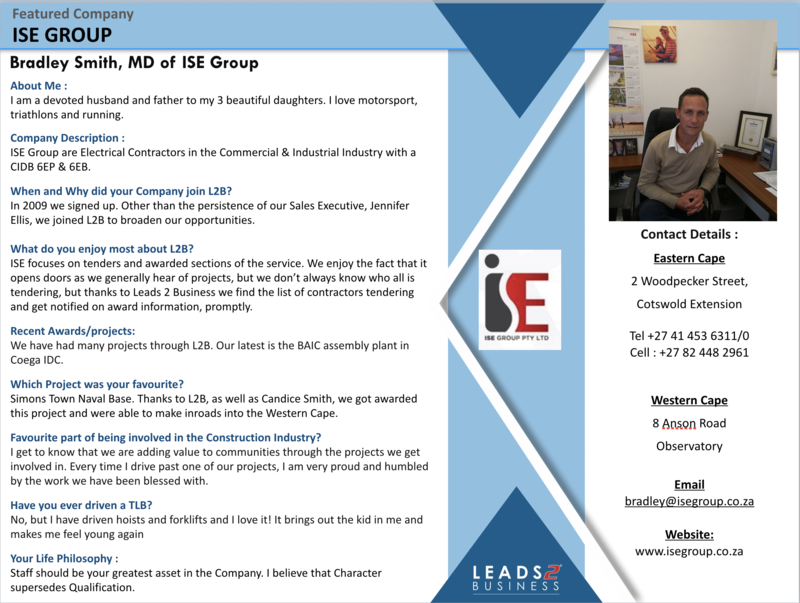 I am Ashlee Kelly and I have been with Leads 2 Business for a year and 3 months. 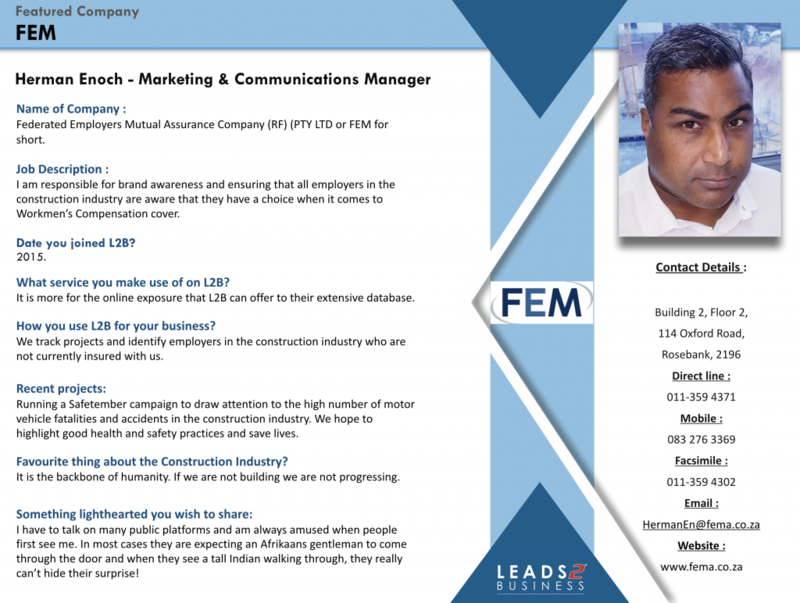 Although new to the Company I have been in the construction industry for 4 Years. 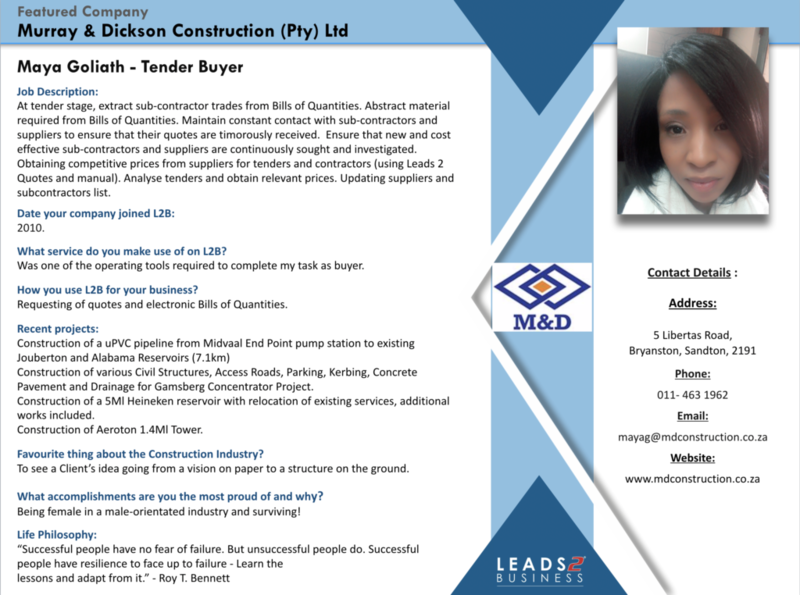 My passion is working with clients and ensuring that they grow their business in the right direction by getting involved in projects and tenders we can offer. I am a very out-going person with many characteristics, and love to help when a client needs any assistance. 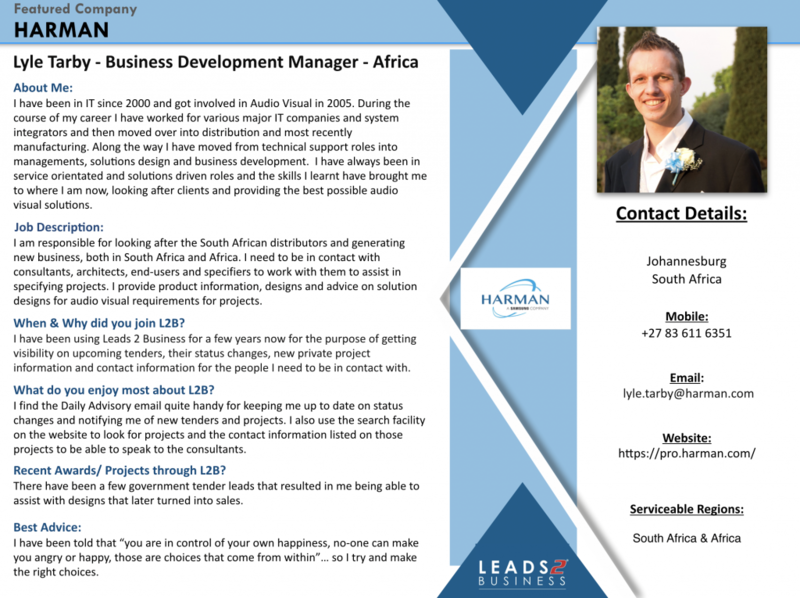 I have been working at Leads 2 Business for almost 7 years of which 5 have been as the sales manager. 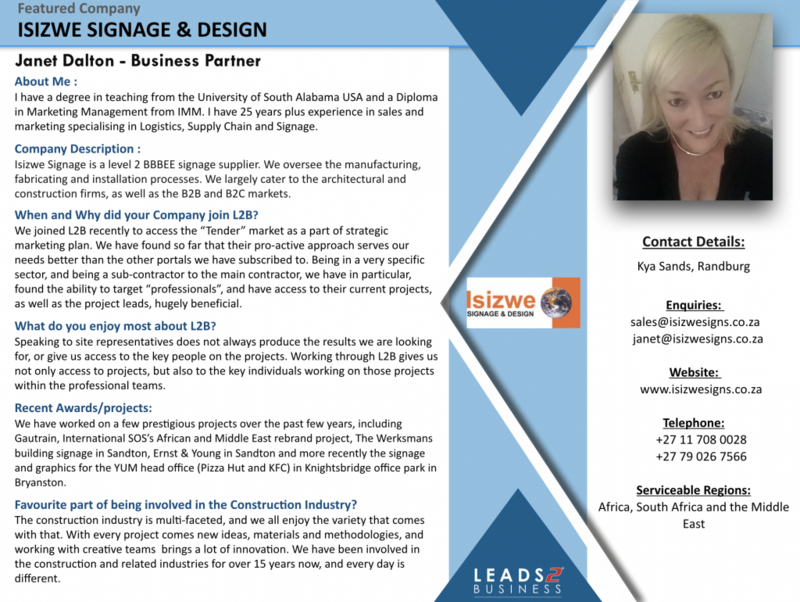 I enjoy every aspect of my job and strive to hold the L2B flag high in all I do. 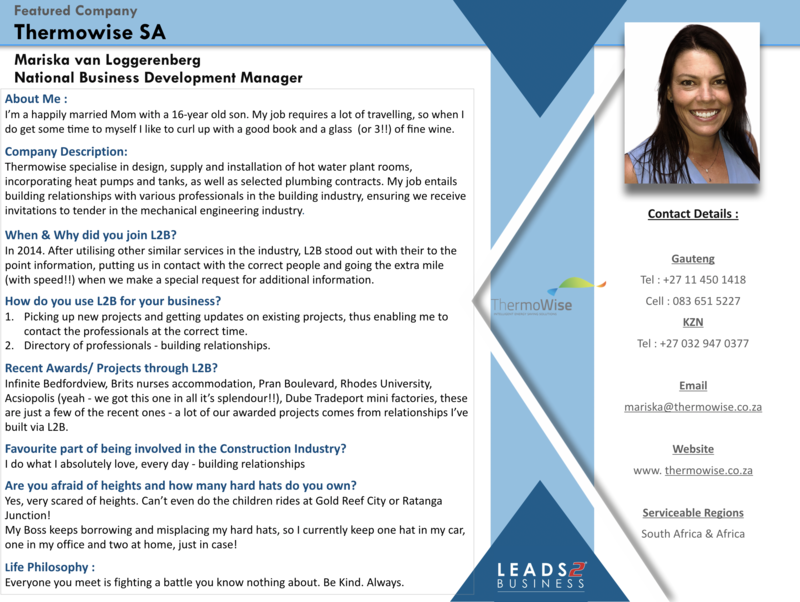 I Started working with Leads 2 Business in 2007 and been based in Port Elizabeth as a Senior account Executive. 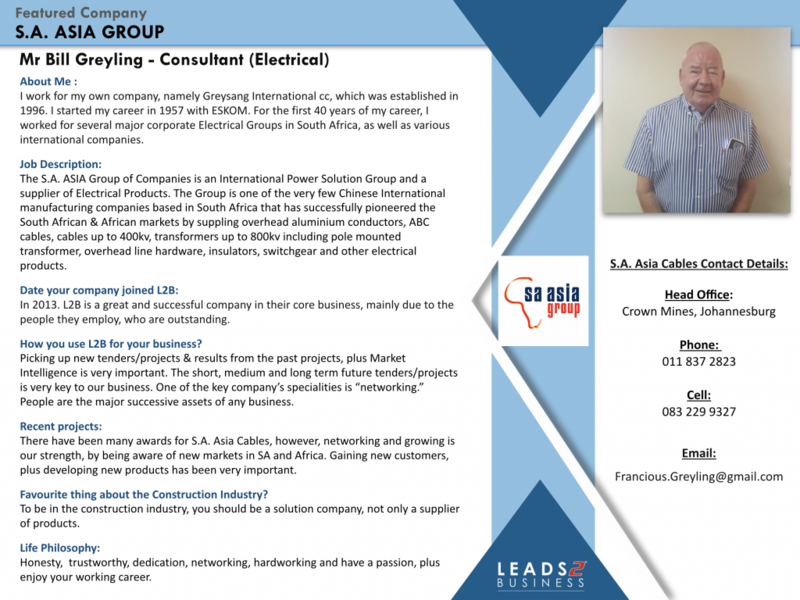 I oversee the Subscriber base in the Port Elizabeth and surrounds region as well as some National subscribers.